Hearty welcome to the awesome online mandir of our Dearest Baba Sai.Have faith on Baba.He loves all his children and will definetely take good care of your brother. fulfilled very soon by our Baba Sai. welcome, dear Hitesh, to this blessed online SAI family. It is good to have you and your brother in our midst. BABA led you here to show you that HE's with you - and with your brother, too. May you and your brother both feel HIS warm and comforting and strengthening blessings. Welcome to the blessed mandir of Sai Baba. Baba sai kindly hear to our Hiteshji prayers and make him post good news ASAP. Sai Ram dear Hitesh. Have faith, Baba will come to your brother's rescue at right time. Prayers have powers and Baba has plans for your brother. May Baba bless you and your bother. Welcome Hitesh Bhai, to this beautiful Baba's mandhir. May Baba clear all your doubts, fears and help you with his ever helping hand. Baba please bless our dear Hitesh Bhai and his family. 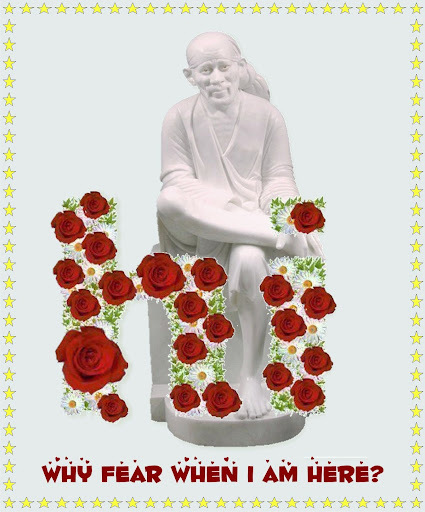 Hitesh Bhai welcome to BABA SAI's Online Mandir. BABA SAI helps those who help others and what other help your brother could have than the caring brother like you. Once again we have another brother in Hitest amongst us. Welcome to our Sai family Hitesh Brother. As you have already rightly said, Baba is Omnipresent. HE will surely listen to your prayers and help your brother. We will all pray for him too. Page created in 0.219 seconds with 58 queries.